As people’s information habits change, television commercials and printed advertisements become less effective at marketing products and services, and companies have to stay on their toes to find new ways of reaching their target audience. Researching the newest information trends, and marketing effectively within these circuits becomes vital to a company’s survival. 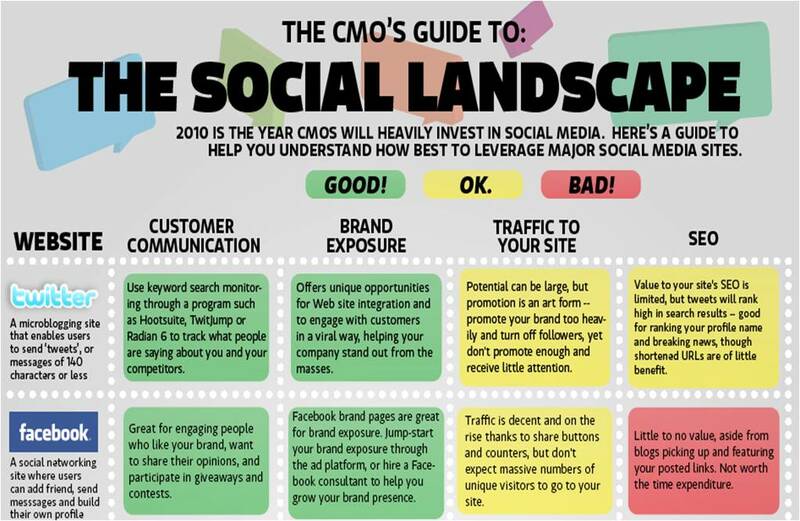 CMO.com, a resource site for Marketing professionals, recently published a cool, concise guide to some of the most important social networking tools available to marketers, including how they’re most effectively used in categories like brand exposure and customer communication. Read about the Guide here, or go directly to the guide here. Also check out some great resources for keeping up with the marketing times on our Marketing Toolkit’s new Social Media page, including the latest news in social network marketing, how-to guides and important definitions for marketing gurus. Thanks to Cynthia Slater, our Business Reference Librarian, for suggesting these resources, and for her hard work on the new Social Media site!